La Cartrina is a creative studio dedicated to help creators and makers by designing and building beautiful websites, logos and branding. I can also help you with your social media graphics, print collateral or other forms of content. keep creating what you love. I design & build responsive and good looking websites with wordpress, as this gives my clients the best flexibility for updating their content. From a simple website or blog to a custom made shop with woocommerce: I can help you achieve your business goals and teach you how to maintain your site. My designs are fresh, friendly and reflect the business, cause or person behind it. I have a good sense of what you might want and need and will transform those ideas into a beautiful product, which gets the results you want. So far I have created CD-covers, posters, logos, flyers and brochures - what can I design for you? You have amazing ideas for a social media campaign and all you need is someone to create the visuals for it? I've got you covered. I create graphics & templates for Instagram, Face-book etc. or can deliver you a complete campaign, fitting to your corporate identity and idea. I also offer photography. 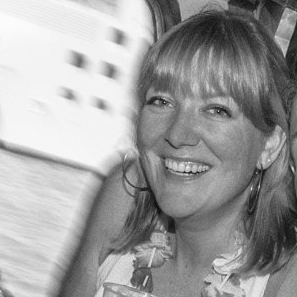 I am Karin, a freelance Graphic & Web Designer based in sunny Lisbon. Although having my roots in Switzerland, I see myself as a citizen of the World. I love exploring, getting inspired and meeting new people from different cultures. One of my favourite places I lived in is Mexico, where I got the inspiration for the name of my creative studio. It’s a combination of La Catrina (Mexico’s iconic figure) and Art, my passion. Another important place for me is London, where I developed my knowledge in UX, Web & Graphic Design during the last five years. With my background in Advertising & Project Management, I am ready to help like minded people like you to get your message out there and shine! So please get in contact or see my most recent work. or just say “hola”, that makes me happy too. I speak Schwiizerdütsch, Deutsch and English. So you can contact me in any of these languages. I'm super excited! Super service! Karin has put my thoughts & wishes fully into my branding, logo & label and the feedback I get for it is amazing. Karin took the concept and ideas that were floating around in my head and interpreted them into super cool designs. The images we now have for our brand really set us apart and give us the bold, bright, cool look we imagined. Massive thanks for the great creative work! EXCELLENT – this is how I felt Karin's commitment, creativity and her style awareness was in the realisation of my wishes. From my idea for the design of my CD packaging, Karin created a nostalgic-romantical design, which transports the mood of my music wonderfully. She demonstrated a great diversity of ideas and the ability to develop the concept in different directions. For the end product I get a lot of compliments and I am very happy about the beautiful creation. 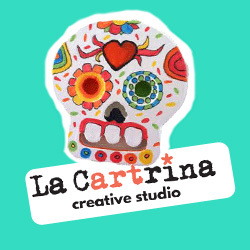 La Cartrina – creative studio.